The devastating mass shooting at Pulse nightclub in Orlando only made some brands' support for the LGBT community louder and prouder this month. Yet experts say many companies still have a ways to go. This year’s Pride parade in New York City was bittersweet, with the event falling on the one-year anniversary of the Supreme Court’s decision to legalize gay marriage, but also taking place just two weeks after the horrific shooting at Pulse nightclub in Orlando, Florida. The latter led a number of brands and organizations to alter their LGBT and Pride messaging at the last minute, as the tone moved from celebratory to thoughtful. After the shooting, the LGBT community was on the minds of the political, cultural, and corporate worlds, and the way people showed support for LGBT individuals started to change, says Cathy Renna, managing partner of Target Cue. She adds that corporations participating in Pride marches such as Facebook, Wells Fargo, and TD Bank were all very "observant and respectful" of what the LGBT community had just endured. "No one felt the need to throw their logo around," she says. APCO global creative director Howard Pulchin says he noticed more brands not just supporting gay pride, but the notion that "love is love, and we have to get rid of hate." "Brands are sad and showing compassion, but are turning their sadness into the power of ‘what we can do?’" he adds. Instead of muting brand Pride messages, the Orlando tragedy inspired some companies, such as Starbucks, to be louder and prouder this month. The coffee brand lost one employee in the mass shooting, and another is in critical condition. Both were staffers at a Starbucks within a Target store who wore the green apron as licensed store associates. Starbucks CEO Howard Schultz blogged about the company’s loss, and the Starbucks Foundation contributed $50,000 to the OneOrlando Fund to help people affected by the shooting. Corey duBrowa, the brand’s SVP of global communications, says Starbucks’ Pride plans did not change because of the tragedy. "There was a lot weighing on our collective hearts and minds, but standing up for our [employees] and communicating our position on equality and diversity is the kind of thing we have always done and will continue to do," he says. "Our focus is on our [employees] and showing up in communities in ways that make them proud." Starbucks flew a Pride flag over its Seattle headquarters, and its employees marched in more than 20 parades around the world and participated in a Pride soccer match with the Seattle Sounders Major League Soccer team. Other marketers did reconsider their Pride plans in light of the shooting, notes Airbnb CMO Jonathan Mildenhall. "I do believe that most of the plans went ahead, but [marketers] had to ask themselves reasonable questions about how big this challenge is to the LGBT community, if they were being sensitive to the communities in mourning, and if it was right to celebrate the community," he says. "But I think lots of companies, including our own, went ahead with very confident and public support of the community." The mass shooting at Pulse nightclub resulted in new forms of activism at Pride events this month. For instance, New York City Councilman Corey Johnson, who is openly gay, gave up his spot in the Pride march for gun-control group Gays Against Guns, which formed after the Orlando attack. "Gun control has not been an issue that has been seen as an LGBT issue," says Renna. "Issues have always been focused on marriage equality and nondiscrimination." The Orlando massacre, which left 49 people dead, also spotlighted the diversity of people in the LGBT community – a story scarcely told by media outlets and in brand campaigns. Most of the victims were gay Latino men, and the shooter was Muslim, leading to more coverage by major outlets of Latino and Muslim gay people. Brands should continue to highlight the diversity of members of the LGBT community in marketing and comms efforts, say experts, instead of reducing them to one-dimensional stereotypes. "While I am a gay male, I am also a husband; we have many identities," Pulchin says. "What I would hope to see is companies taking on the intersection of many identities: gay and Latino, gay and black, gay and a movie maker." Pulchin adds that he is starting to see an evolution in that area, with more brands humanizing, not patronizing, the community and painting a more accurate picture of how LGBT people live their lives. "Brands that would not have touched this previously or participated are taking on the new reality in bold and humanistic ways," says Pulchin. He references Honey Maid’s This is Wholesome campaign, which has focused on families of mixed races, with gay or single parents, or those from an immigrant background. "It is about taking a holistic view. It is not just about gay pride at events, it is about the everyday portrayal of men and women as they are truly living versus the stereotype," he adds. Another brand focusing on the diversity of LGBT people in its marketing is Airbnb. For Pride month, the company released a short film featuring a gay Muslim, a transgender hockey player, and a black lesbian woman who won a seat in the Georgia House of Representatives, and their individual struggles for acceptance. Airbnb felt "incredibly positive about continuing to promote that beautiful diversity" in its Pride campaign after the Orlando shooting, Mildenhall says. Pop culture and political opportunities have created ways in recent years for brands to celebrate Pride month. Although support for the gay community is mainstream in June, brands should sustain these messages throughout the year, Mildenhall contends. Such a strategy will only benefit a company, says duBrowa, who notes that "diverse and inclusive companies outperform those that aren’t." Marketers also need to focus on the transgender community, adds Mildenhall. "When Caitlyn Jenner received the Arthur Ashe Courage Award at last year’s ESPY Awards, there were advertisers who moved their advertising out of that program because they didn’t want to be associated with such a high-profile transgender personality," he recalls. 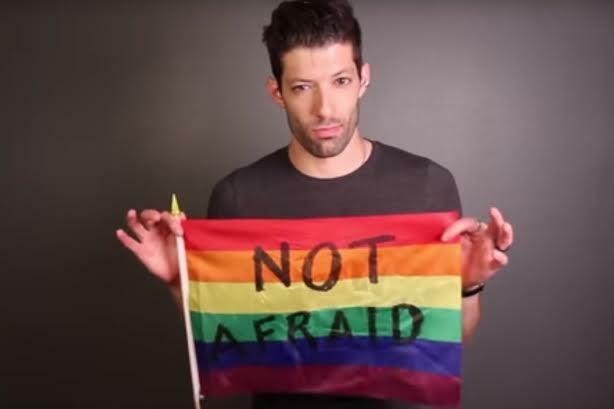 The negative reaction to YouTube’s Pride video featuring the transgender community, published last week, also shows that society still has a long way to go in terms of acceptance. The #ProudToBe video became the most disliked video on YouTube in its first day, amassing hateful, negative commentary. "The biggest manifesto for the LGBT community was YouTube’s film this year," says Mildenhall. "It was phenomenal and the best of the bunch. The negative commentary associated with that film broke my heart a little bit." The trans community also felt it was under attack by legislators in North Carolina after they passed a controversial "bathroom bill" this spring. However, brands such as Target have stood up for the LGBT community in response – something Mildenhall and other experts say they want to see more often. "Going forward, I want to see more mainstream brands lean in and support and recognize the transgender community in the way they deserve," says Mildenhall.